The Prince of Wales will recognize the slavery of a historic African fort when he visits the continent with the Duchess of Cornwall. 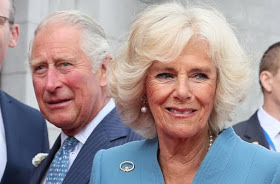 Clarence House has announced that Charles and Camilla will be touring the Gambia, Ghana and Nigeria in October and November, countries in a region that represents the slave trade. The couple's trip followed the celebrity visit of the Prime Minister on the continent just a few weeks ago.